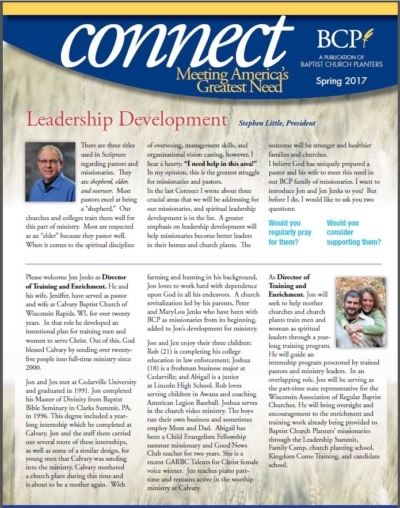 In this issue: "Generous Gifts and Grace"; "Calling All Mentors! 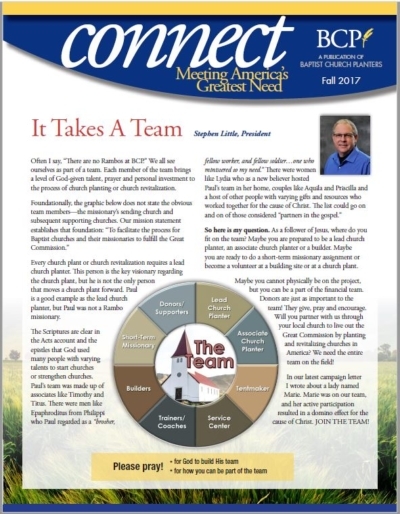 "; "Priorities of a Servant-sending Church," part 3; Introducing the Teacher Journey Training; ChurchCare Construction update. 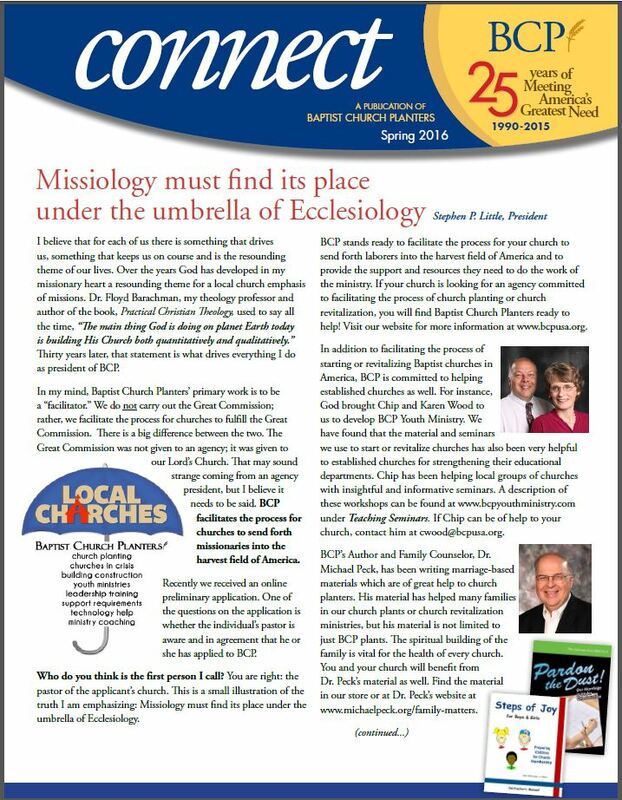 In this issue: Meet the BCP team; What does revitalization mean? 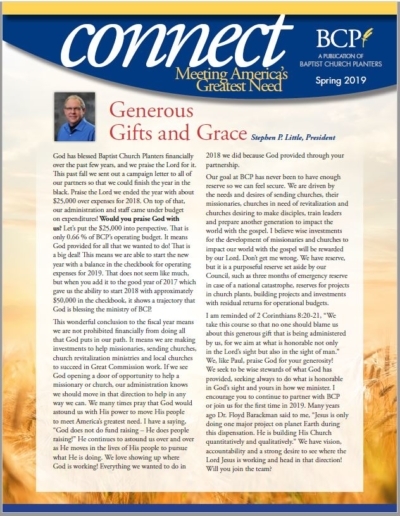 ; Give for the fun of it! 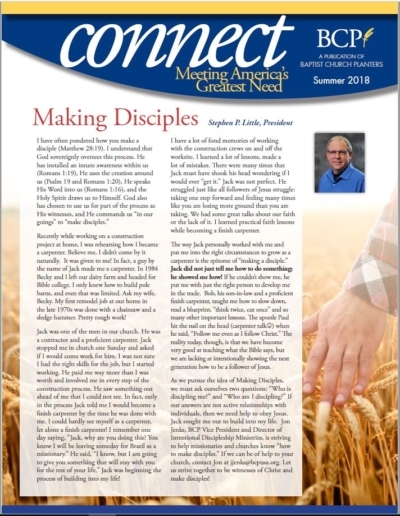 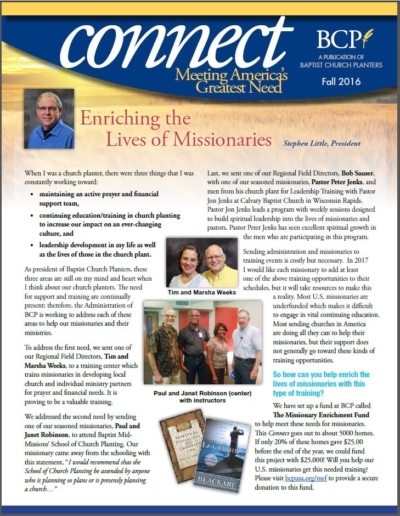 ; "Priorities of a Servant-Sending Church," part 2; Family Camp report; "The Importance of a Partner"; "Meet our Retiree"
In this issue: "Making Disciples"; Priorities of a Servant-Sending Church" (Part 1); "The Church's Multiplying Commission"; Updates for Family Camp and Teen Expeditions; From the Field: Sheryl Ridley and Roy and Karen Kinney; meet the new missionaries; ChurchCare Construction update; meet our retiree, Jan Paton! 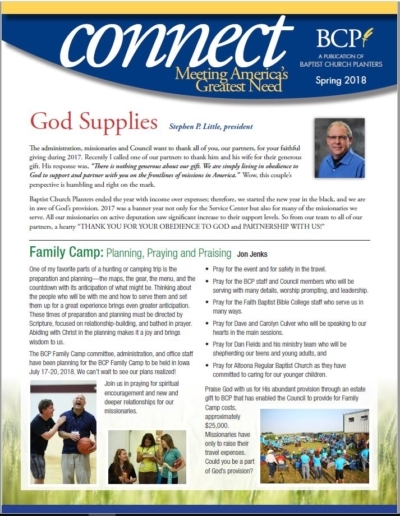 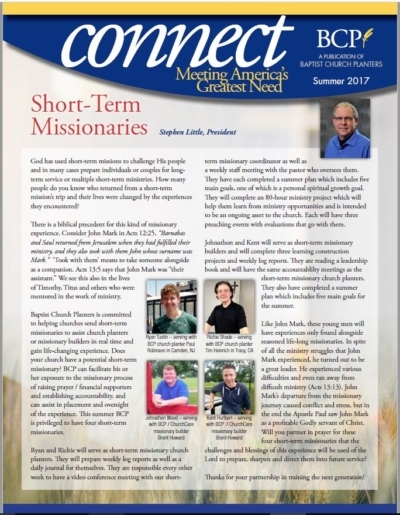 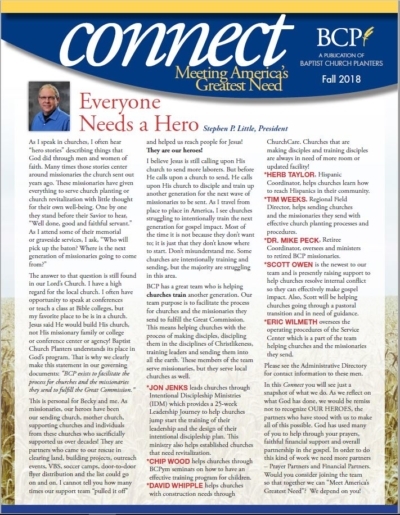 In this edition: "God Supplies"; Family Camp Update; "Reaching our Neighbors Next Door - Part 2"; ChurchCare Update from Niles; "Equipping Men to Lead is a Journey"; "the New SALT Ministry"
In this edition: "The Church Planting Team" "Updates from missionaries in the field" "Short-Term Missions with BCP" "Reaching our Hispanic Neighbors" "Welcome back, Dr. 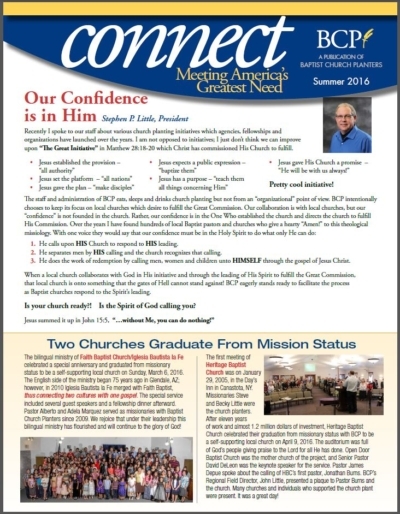 Mike!"